Hades revealed like you never imagined. Demon society, the demon hordes, new demons, Netherbeasts, other monsters, and notable locations and kingdoms are all described in deliciously horrifying detail. Even the demons you may think you know are given updated profiles and information. The Minion War™ begins here with Hades’ plans for dimensional conquest of their arch-rival in the Hell known as Dyval. 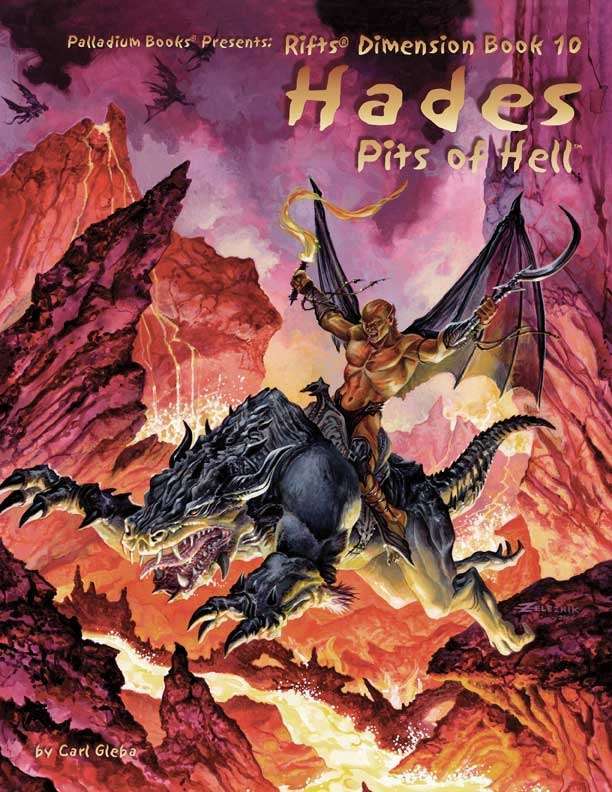 As a sourcebook, dimensional travelers and bold adventurers can literally go to the very pits of Hades! Or they can battle the demon and Deevil combatants as the Minion War spills across the Megaverse®. 30 demons and Sub-Demons described; six completely new. Demon High Priest O.C.C. for use as an NPC. Demon Bone Weapons and Soulmancy. Netherbeasts – demonic riding animals. World information and many adventure ideas. S.D.C. and M.D.C. stats and conversion notes. A stand-alone sourcebook suitable for Rifts®, Phase World®, Heroes Unlimited™, the Palladium Fantasy RPG®, and the entire Megaverse®. 224 pages, written by Carl Gleba. Additional text by Kevin Siembieda. This title was added to our catalog on September 18, 2015.